MCLA students, staff and some community members volunteer to spruce up the North Adams area. 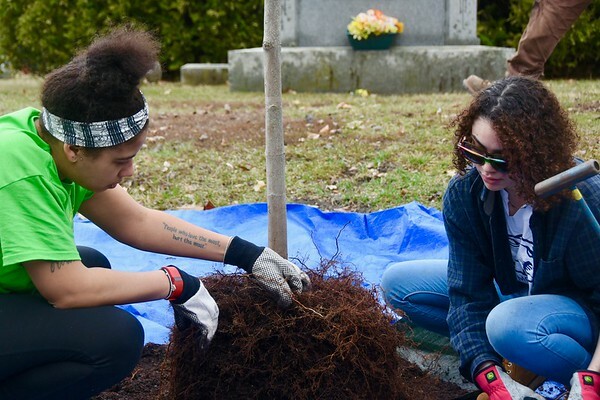 Scott Stafford -- The Berkshire Eagle MCLA students Sierra Lamonde, left, and Maija Santos plant trees at Southview Cemetery in North Adams during the MCLA Day of Service. Saturday, April 13, 2019.